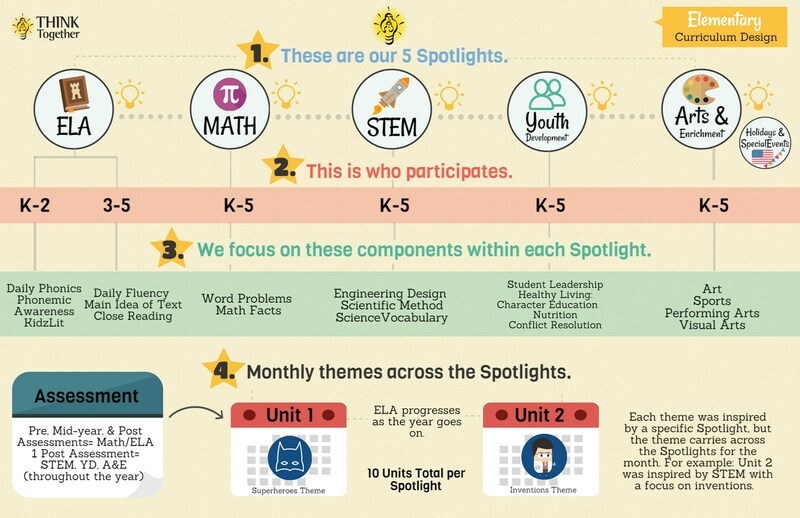 Daily comprehensive elementary school programs consist of 5 spotlights that include ELA, Math, STEM, Youth Development, and Arts & Enrichment. Available for Kindergarten through 6th grade students after the school day ends until 6 pm. Daily comprehensive middle school programs include the 5 spotlights above, available for 6th through 8th grade students after the school day ends until 6 pm. 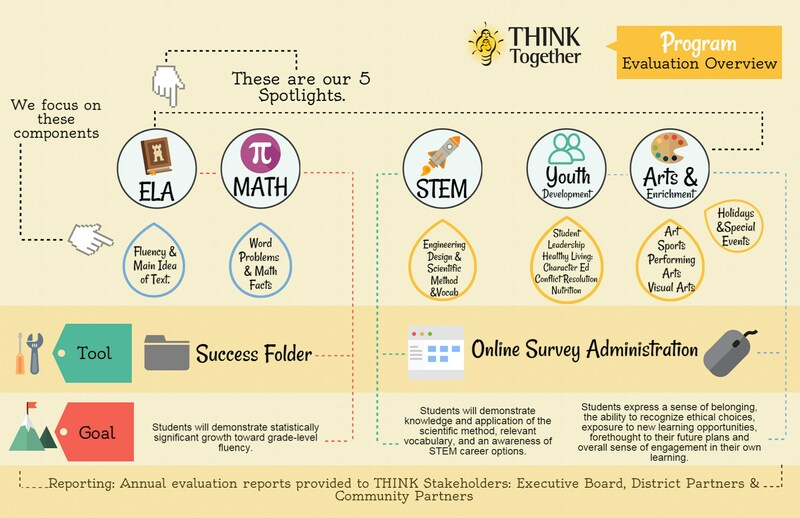 Vision: Educational excellence and equity for all kids. Mission: Create opportunities for all kids to discover their passions and reach their full potential. 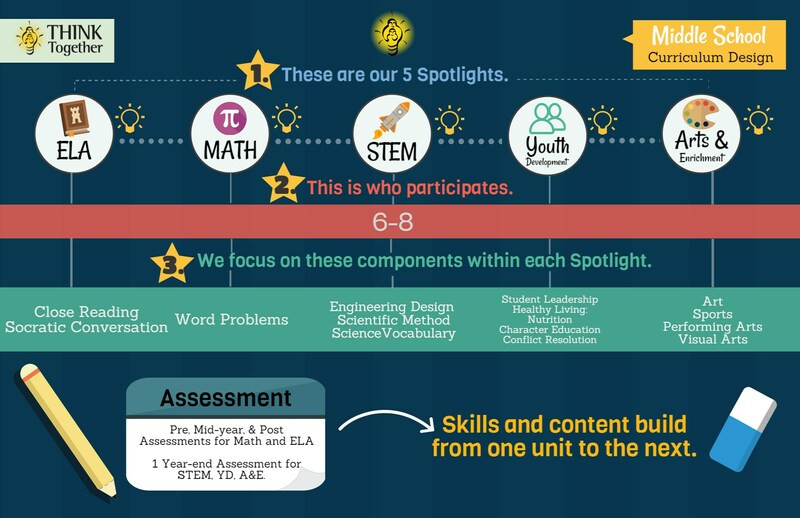 The rotating images below illustrate the curriculum, philosophy, and validation requirements for this Expanded Learning Program. Click below for an enlarged view or to pause the rotation. 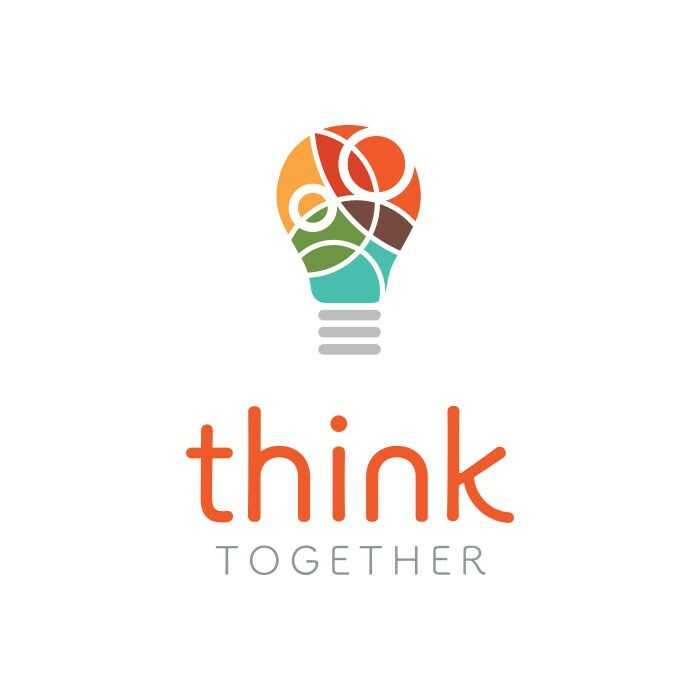 "I attend THINK Together while my mom works, get my homework done, and participate in many fun activities. THINK Together is my second family, it makes me feel like I have brothers and sisters."